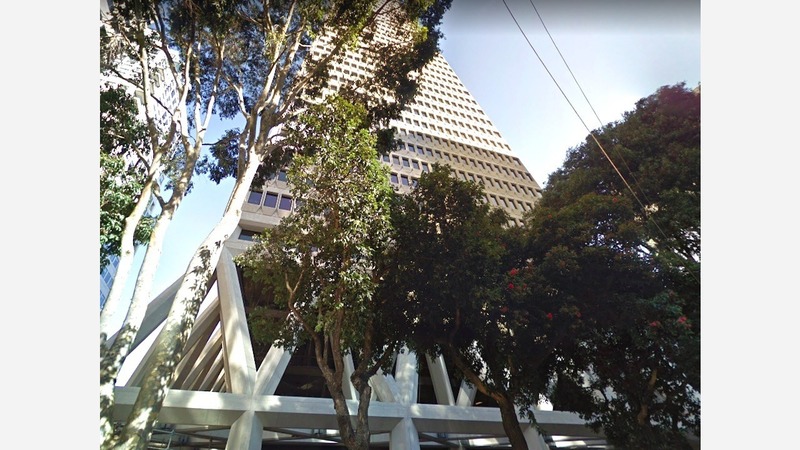 Earlier this week, a reader tipped Hoodline that the owners of Transamerica Pyramid Center asked the city for permission "to remove every single tree within the sidewalk" surrounding the renowned skyscraper. 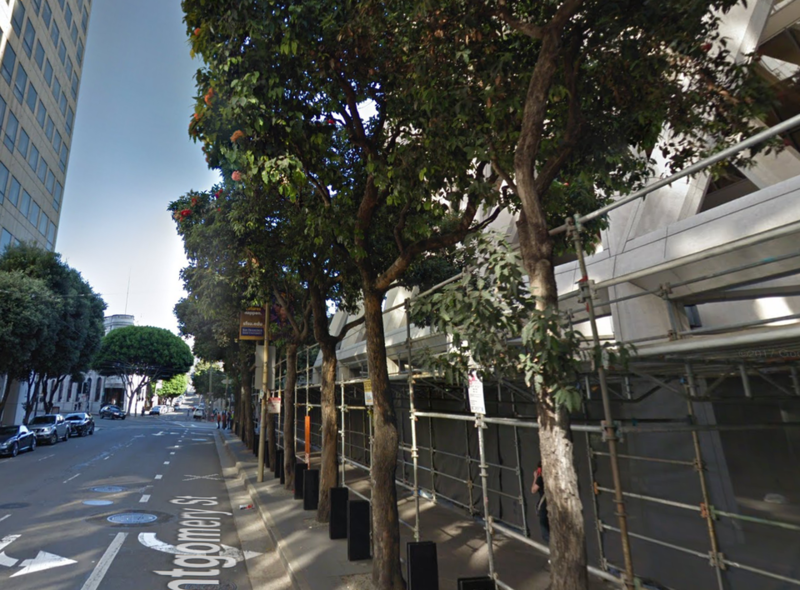 Public records indicate that property owners requested a meeting to discuss "updating and replacing the first-floor storefront and lobby," along with replacing all exterior tile and flooring, but it's unclear how the request to remove sidewalk trees fit into the plan. Via email, Public Works spokesperson Rachel Gordon confirmed receiving an application to remove 40 trees adjacent to three frontages around the building, but said "we are denying the request." Because the complex's owners have filed an appeal, an administrative hearing will be held March 26th in Room 416 at 5:30pm at City Hall. Tony Sanchez-Corea of A.R. Sanchez-Corea & Associates--a code and permit consulting firm based in San Francisco--is listed as the contact for the project. We've reached out to him to learn more but did not receive a response as of press time. "Thirty-two of the trees are red flowering Corymbia; eight are spotted gum," Gordon said. Ranging in height from 25 to 50 feet, Public Works believes the trees were planted "around the time the building opened in the early 1970s." The Department's certified tree inspector took a look at the trees lining the building after the initial request was made and found them "in good shape--no disease, no recurring branch failures," and no damage to the sidewalk has been discovered, she said. "At the end of the day," said Gordon, "we have seen no compelling reason to remove the trees. Our goal at Public Works is to grow and safeguard San Francisco's urban forest, and we always want to do what we can to protect healthy mature trees." The pyramid--no longer the tallest skyscraper in San Francisco after the construction of SoMa's Salesforce Tower--was acquired by AEGON USA, Inc. in 1999, according to the building's website. The company is based in the Netherlands and is "the third-largest international insurance organization worldwide."